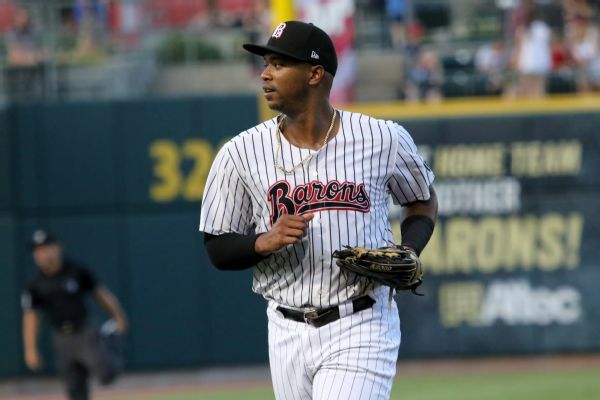 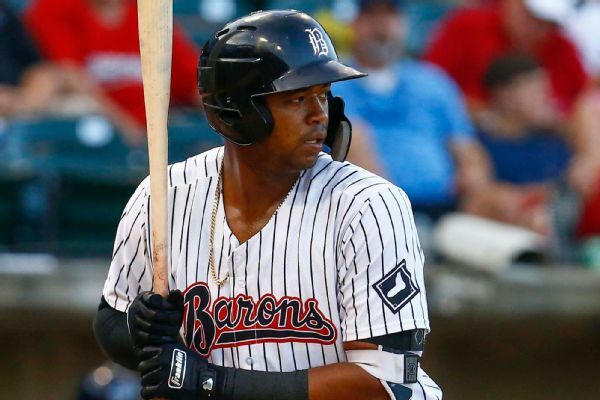 Top outfield prospect Eloy Jimenez hasn't played a day in the major leagues, but he has agreed to a six-year, $43 million contract with the Chicago White Sox, sources told ESPN's Jeff Passan. 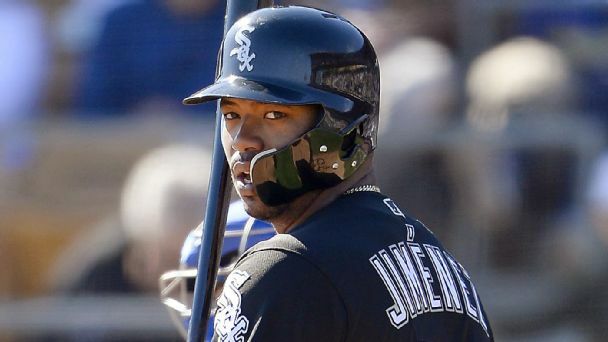 Eloy Jimenez says he was pressing in his bid to make the White Sox's Opening Day roster. 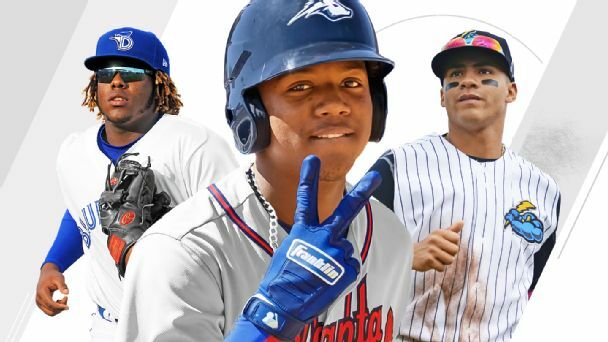 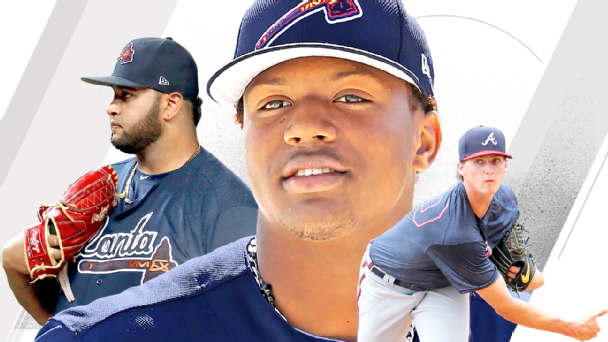 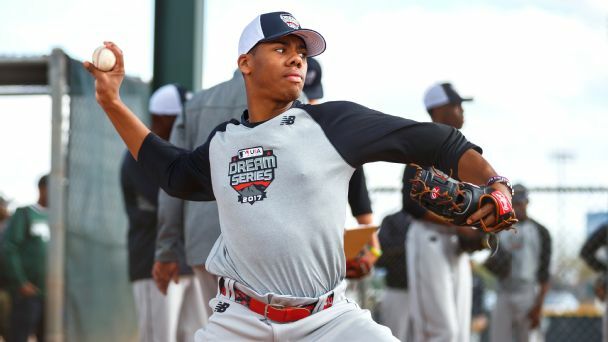 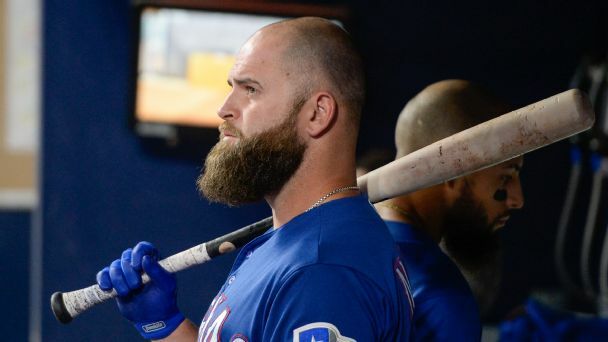 The second overall pick in the 2017 draft showed Thursday the stuff that could one day make him an ace. 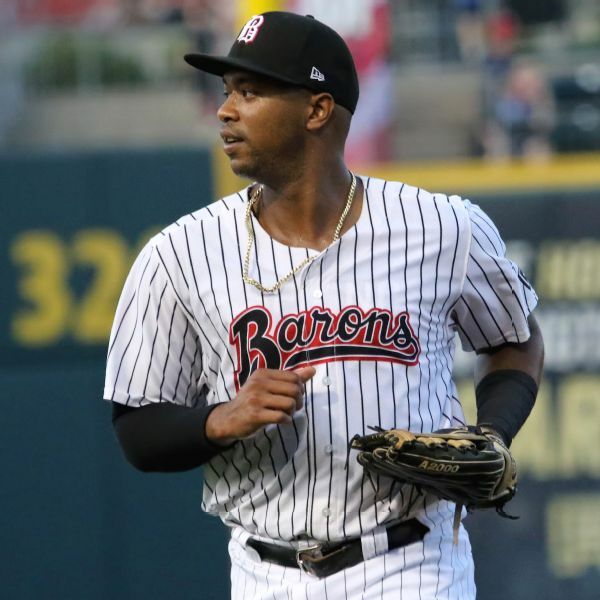 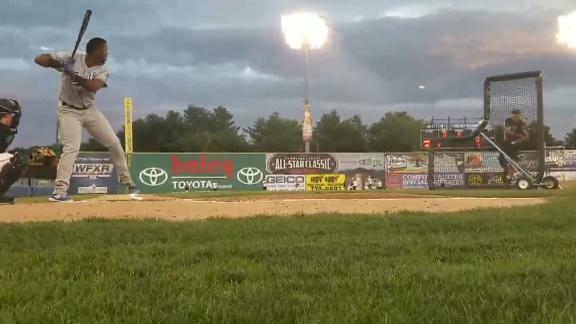 Cubs minor-league left fielder Eloy Jimenez looks like Roy Hobbs hitting a home run off the stadium lights in left field.